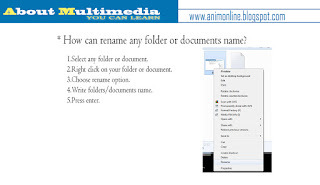 About Multimedia: How can rename any folder or documents name? 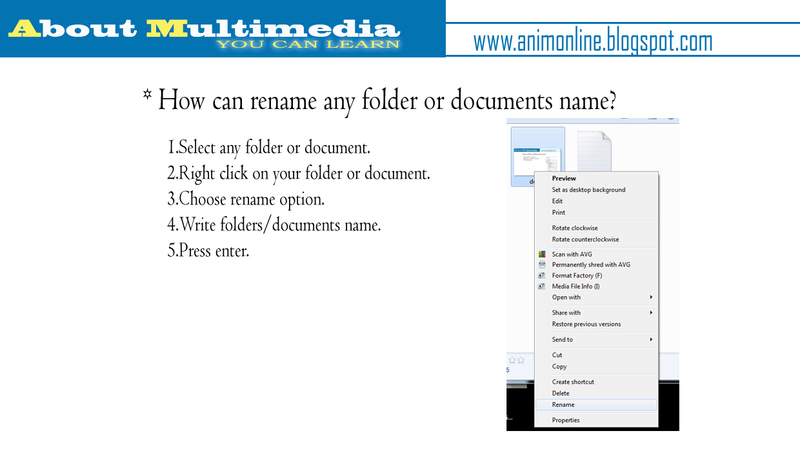 * How can rename any folder or documents name? 1.Select any folder or document. 2.Right click on your folder or document.